In 1969, the U.S. finally won the race with the Soviets to be first to put people on the moon. But the memory of that space race has overshadowed one that came before: the race to be the first to photograph Mars from space. It was the subject of an intense rivalry—and one that the Soviets narrowly missed winning. The Soviet Union would have been the first to get images of Mars - but they had utterly wretched luck with their early missions. Two Mars 1M missions were launched in 1960 - both failed to reach orbit. Mars 3MV (also called Mars 1) was launched in 1962, reached escape velocity and was in contact with Earth up until 100 million km away when it seems to have lost its orientation with respect to the Earth and Sun. Had it succeeded it would have flown past Mars at about 11,000km - slightly further than Mariner 4. 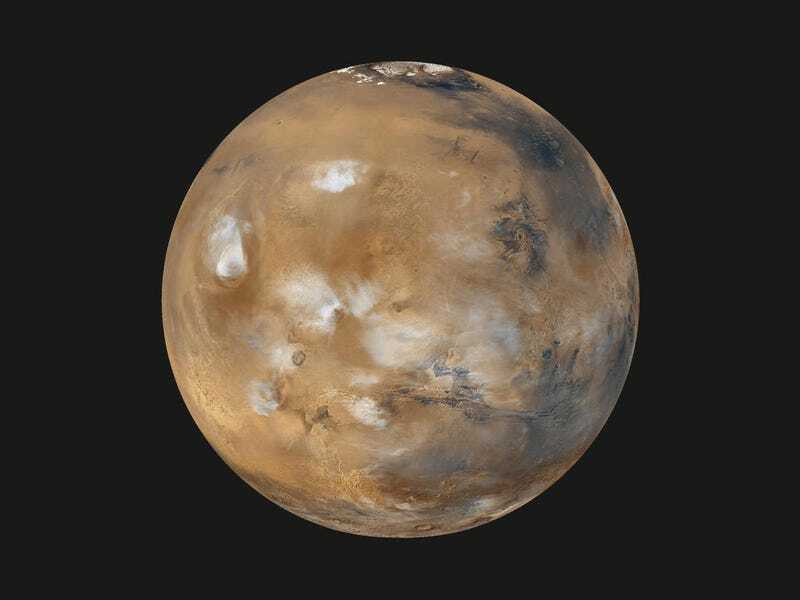 To make things worse, the Soviet Union launched two more unsuccessful Mars probes in 1962 - Mars 2MV-3 1 which was stranded in Earth orbit and was given the official name Sputnik 24; and Mars 2MV-4 1 which exploded in orbit shortly after it was called both Sputnik 22 and 29. This one nearly caused a nuclear war when its decaying debris was mis-interpreted as a Soviet missile launch by an Alaskan radar station. Between then and 1969, the Soviet Union concentrated almost exclusively on lunar exploration and increasingly successful missions to Venus. It’s next Mars probe - the twin Mars 2M missions - well they exploded during launch.